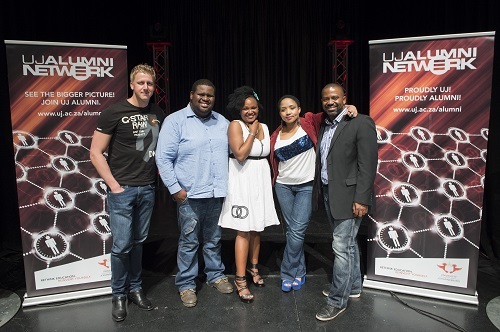 Mamello Lekhema was crowned UJ Idol 2013 in the Sanlam Auditorium at the Auckland Park Kingsway Campus on 16 September. This was without a doubt the night that will be remembered by many as the highlight of the 2013 UJ Alumni Network calendar. The new UJ idol, from Panorama Ladies Residence, is a third year Operations Management student from the Bunting Road Campus. She is 21 years old and from Boksburg on the East Rand. She was very excited about her prizes: an UJ Alumni bursary to the value of R5 000, a Blackberry cell phone and a laptop to the value of R17 000. It was a night of a thousand stars – on stage, backstage, at the judges table and behind the scenes. During the show that was put together in such a professional way that it could be taken nationally any day Garreth Cliff said: “I am very impressed with the finalists; UJ definitely has talent!” He would know because he has been a SA Idols judge since season two. The evening kicked off with the UJ Alumni Band performing to a crowd that made it clear that every band member is well loved. A great indicator of what was to come. And as the Idols contestants made their appearance, it was clear that the audience loved them. No matter from what campus, the contestant could be sure that his or her campus would be there for support. And did they support their idols! At times it felt like the roof would come down. Every single finalist was a winner, having ranked highest after the auditions held across the four campuses, where they were scored by the judges on presentation, pitch, interpretation and the Wow! factor. Some of the performers, however, got luke-warm responses from all four judges. Gareth and Kiku in particular we brutally honest and gave the finalists a taste of what could be expected if they had to appear at a national Idols audition. The students in the audience of course loved (or hated) it and made it clear in no uncertain way when they disagreed. Another star in his own right, UJ Alumni Goodwill Ambassador Simba Mhere, acted as Programme Director, overseeing the smooth running of the programme. One of the highlights of the evening was without doubt the performance of last year’s SA Idols winner, Khaya Mthethwa. He sang his first hit song, Move and also For You. And to show that she still has it, last year’s UJ Idol Whitney Phatladira gave a goose-bump performance of Whitney Houston’s I will always love you. 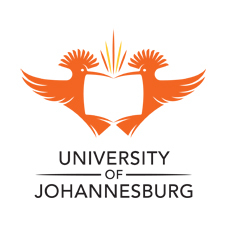 Runner-up, Lodiwe Zulu, also from the Bunting Road Campus, won a UJ Alumni bursary (R2 500) and an iPad (R8 000). Thapelo Rakgomo from APK Campus came third and received a Blackberry cell phone. It was a night that will be remembered by many; not just for the showcasing of UJ’s talent, but also for the professional way the show was put together.